The first thing you should do is tell your parent(s) or trusted adult about your concerns and then make an appointment with your primary care provider. If you find out you have trichotillomania, learn as much as you can about it. You’ll also need the help and understanding of your parent(s) or trusted adult, siblings, and friends. Once you have connected with a professional who has experience working with patients who have trichotillomania, ask about all the treatment options. 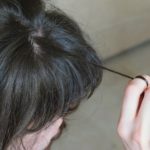 Many people who are diagnosed with trichotillomania can learn to control their behavior with both medication and counseling including interventions such as cognitive behavior therapy (CBT). Since not everyone’s symptoms are exactly the same, treatment should be individualized, with your specific symptoms and lifestyle in mind.